Comedy Magic Cabaret, Manchester Magician performs to the full audience. 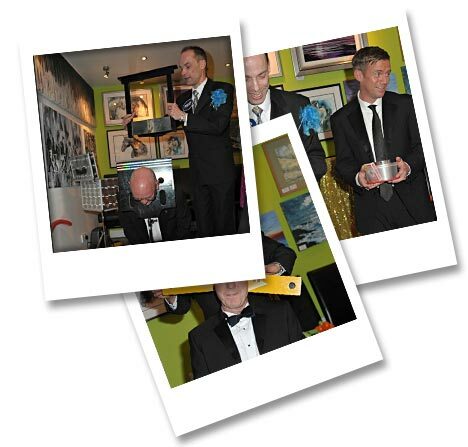 Manchester Comedy Stage Magician will be a hit at your party or corporate event! In Comedy Magic Cabaret, Manchester Magician performs to the full audience as opposed to mix & mingle close-up table magic around the guests. In his Comedy Magic act he performs as the Comedy Conjuror. He personalises his act to exactly his clients’ requirements even including information about the invited guests. Manchester Comedy Magician will be a hit at your party! No matter the size or location, every party show by Manchester Comedy Magician includes a boatload of guaranteed WOW moments. Every movement has been precisely planned & packed with action, magic, music & laughter for your entire audience! Imagine how much fun you’ll have watching every face in your party howling with laughter! Philip guarantees that every adult there will give you a huge THANK YOU! ovation for throwing such a GREAT party. "Many thanks for all that you did to make the evening a success. You were great fun, as always." "Everyone had tremendous fun and really enjoyed your performance. I wanted to make lasting memories for my son and there is little doubt that you fulfilled my aim. Thanks very much!" "A huge thank you for all your input last night, both the advice beforehand and your cabaret show. Everybody was incredibly impressed by your humour, expertise and amazing ability. It would have been a very ordinary get together otherwise, but you made it memorable." "Philip was amazing. Everyone enjoyed meeting him, the close up magic and particularly the cabaret show where he engaged with everyone. He really made our party a huge memorable success and cannot recommend him highly enough." "Thanks for your brilliant show - lots of feedback last night about what a great time people had." 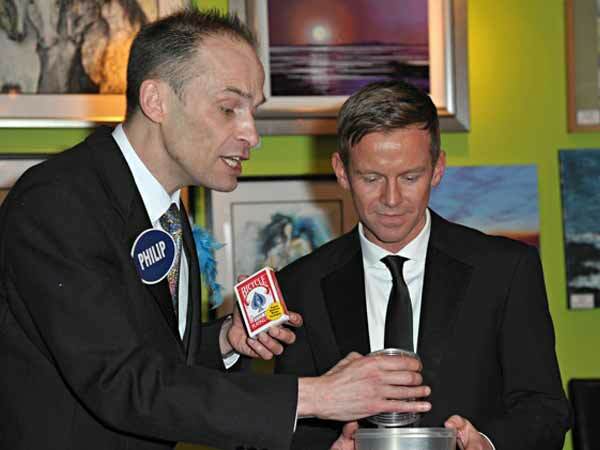 "Fantastic evening hosted by Magic Philip. Everyone amazed and said they had not laughed so much in ages. Thanks Philip." "Thanks for the show. It was great as always and everyone enjoyed themselves. Probably a bit early to book for next year !!!" 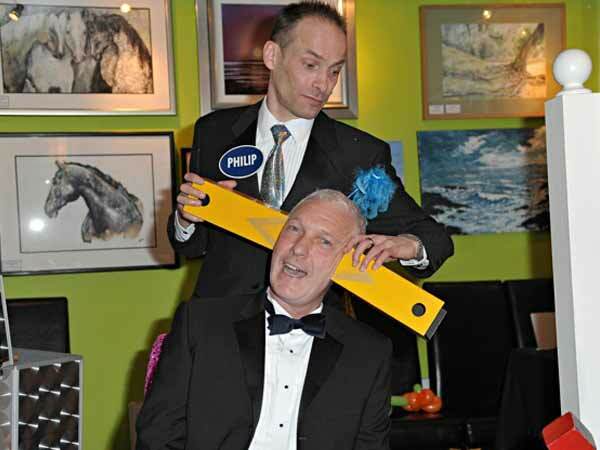 “Thank you Philip for your fabulous magic and comedy cabaret last night. You were awesome and absolutely made Steve's 40th birthday party"
“We would like to say how much we enjoyed your performance at Cranage Hall on the occasion of our Golden Wedding Anniversary. Everyone, including the children, was delighted with your magic and all the fun involving our guests. You helped to make it a very special evening for us. We sincerely thank you also for falling in with our timing of the meal, etc. We would recommend your magic show to anyone." "We really enjoyed it & had loads of great comments about you. The restaurant manager commented on how well you controlled a whole room of young adults for so long & kept them entertained all that time." "Really enjoyed your show. Your act made our party for us." How Can I Find Out More About Manchester Magician’s Comedy Cabaret & Stage Magic? © 2019 All Rights Reserved. Manchester Comedy Magician. 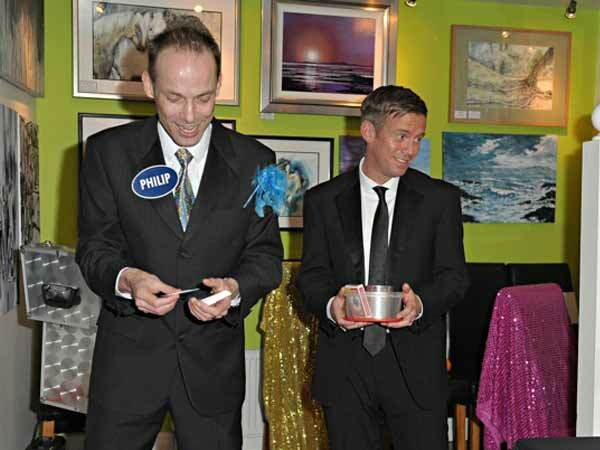 Close-up Magic, Table Magic , Wedding Magic, Exhibition, Christmas Party & Cabaret Magician. North West Entertainer. Greater Manchester, Lancashire, Cheshire & Yorkshire. 34 Winwood Road, East Didsbury, Manchester. M20 5PE.